. . . will be your constant companion. Critically sharp f/3.5 lens; all speeds to 1/1000 sec. ; loads in a wink; lots of other features. See your photo dealer today for a demonstration. 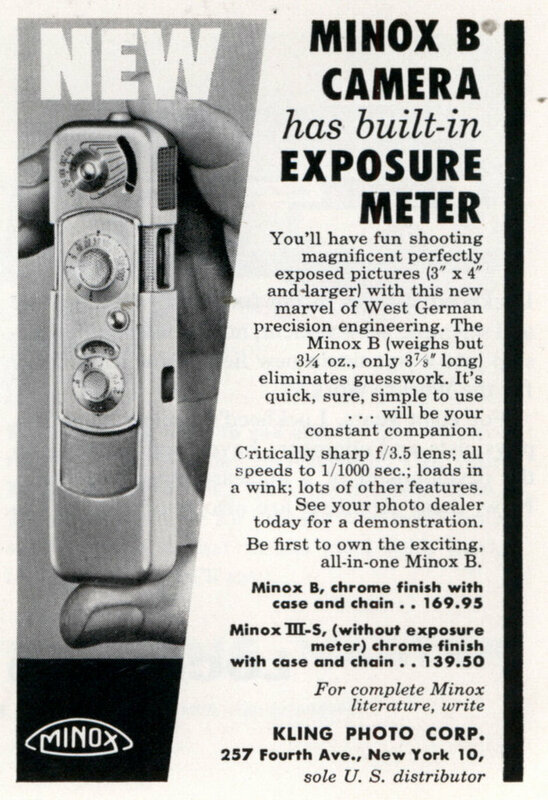 Be first to own the exciting, all-in-one Minox B. Perfect for taking pics for your friends at the Soviet embassy. Not so good for photographing military plans for your friends at the American embassy.